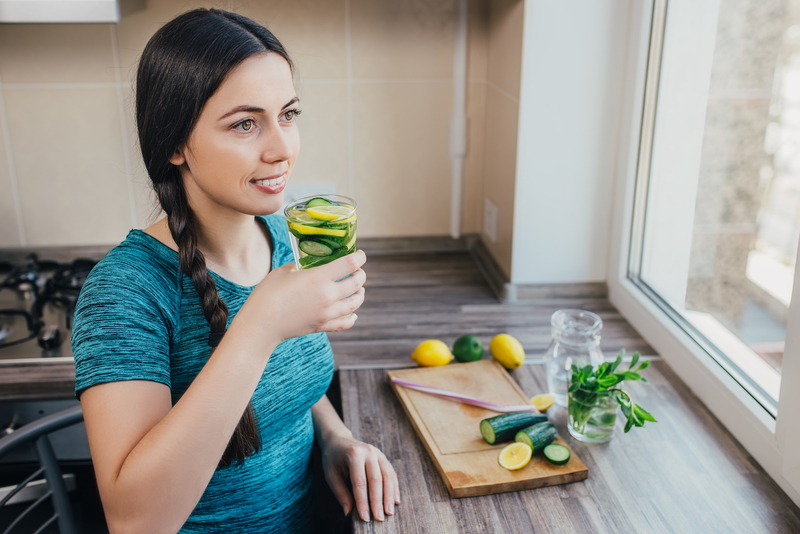 If you are still saying I don’t get time to drink eight glasses of water a day or you think it’s not really that important you may want to reconsider when you read these ten benefits relating to drinking enough water. If you often find your complaining about tiredness and your ability to concentrate then you may want to look towards dehydration. Drinking plenty of water will see your energy levels receiving an important boost and you’ll find you won’t be waking feeling tired. Since your brain is 70% water, drinking it helps you think, focus and concentrate better and be more alert. Drinking plenty of water helps to flush out toxins and by-products of fat, reduces eating intake and raises your metabolism. Research has suggested that we often eat in reaction to ‘hunger’ that may actually be thirst. Drinking adequate water means that your body is able to flush out waste through sweat and urination which reduces the risk of kidney stones and urinary tract infections. You can buy all the anti-ageing and magical skin care products you like, but nothing improves the skin tone and radiance of your skin better than hydration. Drinking water hydrates your skin, reduces the appearance of fine lines and keeps it fresh, youthful and smooth. It’s the best anti-aging treatment you can get and the best thing is it’s free and good for you. Aids in digestion as water is essential to digest your food and prevents constipation, digestive discomfort and bloating. A hydrated individual is less likely to be ill as drinking plenty of water helps fight against flu, cancer and other ailments. Headaches can be debilitating and if you are prone to suffering with headaches then you may want to consider swapping your paracetamol for some water. Hydration is proven to help relieve and prevent headaches (migraines & back pains too!) which are commonly caused by dehydration. Cramp is common but painful, and one of the reasons that the muscles tighten and become painful is dehydration. Proper hydration helps keep joints lubricated and muscles more elastic meaning that joint pain and muscle aches are less likely. If you are becoming increasingly cranky and irritable, try swapping stimulants such as tea and coffee for water, because hydration makes the mind and body function better and when the body is functioning at its best, you will feel at your best in both mind and body. Water is FREE, hence it has been termed ‘corporation pop’. However, even if you fancy some water that has been filtered through the rocks of an Italian Mountain or some other fancy mineral water, it is still cheaper than a pumpkin spice latte or flavoured sparkling drink.